Click the button below to add the Roasted Garlic and Peppers to your wish list. 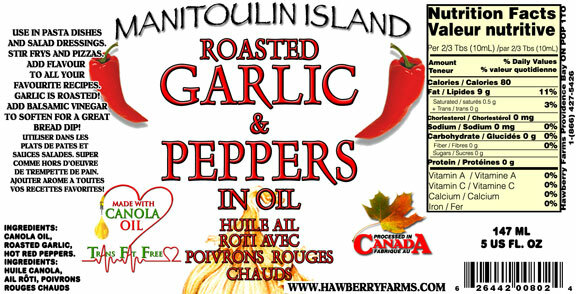 Ingredients: canola oil, roasted garlic, hot red peppers. I'm not a chef but I use this when frying pork chops and the family loves them every time! Well...I guess you can tell from my reordering my continued love for this oil and garlic combo!